Click on image to visit our Metagenics online store! You get 10% savings on your second and subsequent Recurring Orders. Free shipping on orders $49 and above. Automatic recurring orders (AROs) receive free shipping on all orders. Standard shipping for 2-5 day service will be a flat rate of $4.99 per order. These are great prices, and this system helps you stay on track with your nutritional health! In the upper right, at the very top of the page, either “Create an account” if you do not have one, or “Log in” if you have already ordered through this exact process before. Select the supplements that you need and you are on your way! GREAT PRODUCTS including your MAG GLYCINATE. 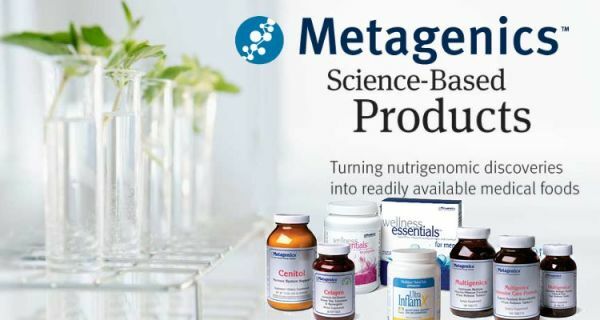 The Metagenics products that we carry in the office, and most commonly sell, are Mag Glycinate, OmegaGenics (fish oil), UltraFlora Plus (probiotic), UltraMeal Rice and Soy meal replacement powder and bars, and UltraClear (detox formula). You now have access to these and all of the Metagenics product line! I believe that our online store will help more of you maintain your health, and make quality, affordable, nutritional supplements easily accessible!